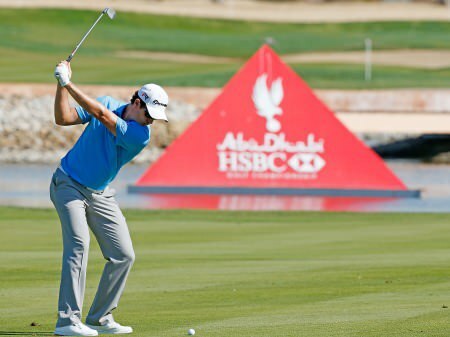 World No 5 Justin Rose has a two shot lead in Abu Dhabi. 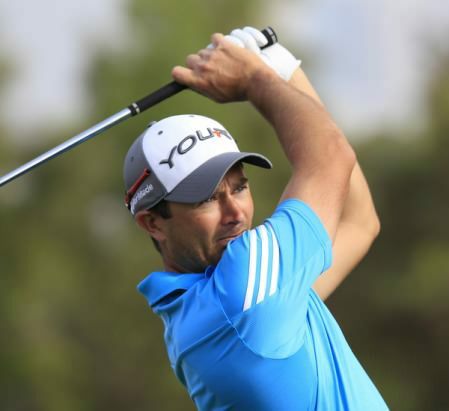 Picture by Getty ImagesPádraig Harrington broke the 30-putt barrier for the third day in a row but found himself 10 shots adrift of Justin Rose with a round to go in the Abu Dhabi HSBC Golf Championship. The world No 48 used the blade just 24 times, finishing birdie-birdie for a two under 70 that left him tied for 29th on two under par. The Dubliner is second for putts per round in the biggest event of the European Tour season so far. 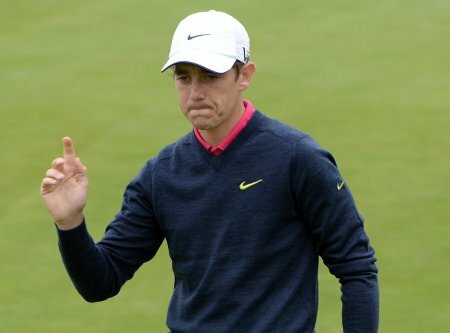 But his ball-striking was not even close to that of Rose, who shot a four under 68 to extend his lead to two strokes over Irish Open champion Jamie Donaldson of Wales and Denmark’s Thorbjorn Olesen. With Rory McIlroy and Tiger Woods having both missed the halfway cut, Rose is the highest ranked player remaining in the field, and the world No 5 proved his pedigree with another sparkling display at Abu Dhabi Golf Club. An opening bogey was not the start the Englishman had in mind, but he swiftly rebounded with five birdies in six holes to put distance between himself and the chasing pack. A measured seven iron to four feet on the par three 12th hole led to another birdie and a four shot lead over the field, but his advantage was whittled down to a single stroke after bogeys at the 13th and 17th holes. Rose was just short of the green in two on the par five closing hole, however, and after chipping to three feet and sinking the resulting birdie putt he was signing for a round of 68 and a 12 under par aggregate total. He said: “I’m delighted about the day. Any time you strengthen your lead, I guess that’s always good. But more importantly, I felt I played really, really well today. Every time I had the club in my hand, I felt like I was going to hit a good shot – and that’s not always the case. “Some days you have to work harder than others and some days are a bit of the grind, even if you do come in with a good score. But today was a day where it felt pretty smooth. “The key was that stretch on the front nine, which snuck up on me. I think that’s when you play your best golf, when you’re not all aware of how well you are going. I hadn’t realised I’d made five birdies in six holes, so I guess that is sort of testament to how calm I was. Donaldson and Olesen, who will partner Rose on the final day, lie in a share of second place on ten under par after both carded rounds of 69. Straight-hitting Peter Lawrie (69) and Ballyclare’s Gareth Maybin (71) are the leading Irish players in joint 24th, nine shots behind Rose, on three under par. Harrington is a shot further back after a round featuring five birdies, one bogey and a double bogey. The three-time major champion dropped an early shot at the third but birdied the short fourth for the third day running and then the sixth to turn in 35. He picked up another shot at the par-five 10th but doubled the par-three 15th for the second day in a row before picking up shots at the last two holes. Jamie Donaldson claimed his second big title inside six months in Abu Dhabi. Picture by Getty ImagesNo-one had fewer putts than Pádraig Harrington but it was reigning Irish Open champion Jamie Donaldson who had the fewest strokes in the Abu Dhabi HSBC Golf Championship. "I put my hand out and said, ‘Hi Tom, my name is Paul McGinley. I’m from Ireland.'"